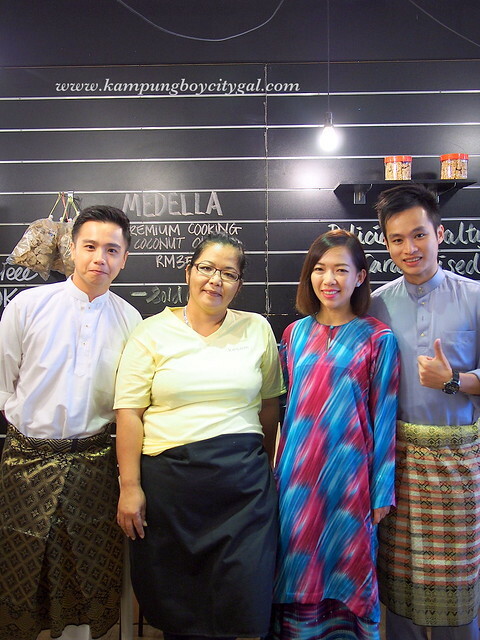 Every other day, there is a new café, a burger place or a fancy restaurant popping out in the Klang Valley but I have never gotten this excited to blog about Kesom, a café in Aman Suria that offers home made Kelantanese cuisines such as nasi dagang and nasi kerabu. I first got to know about this place from @boolicious, so when NTV7 approached us to do a special Ramadan feature, Kesom is the first place that sprung to my mind. 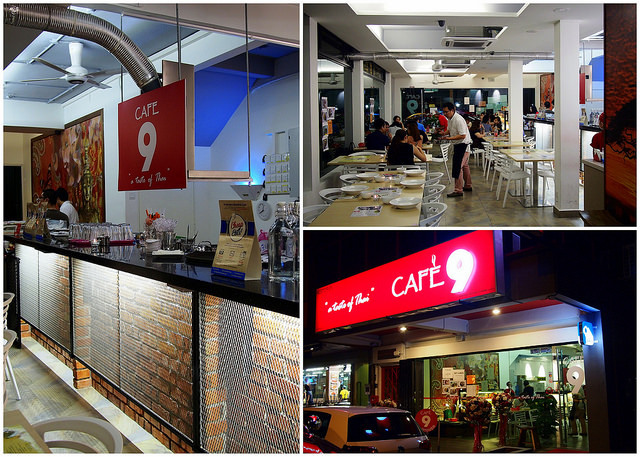 Kesom Cafe is also related to the fashion brand Blook. How does food and fashion relate? 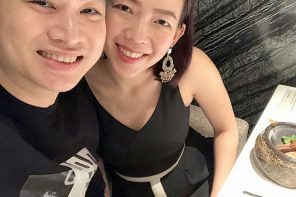 You can read more about the stories behind Kesom Cafe’s founder, Susan and Edana here. We were there really early to prepare for the shoot. It is also the best time for us to witness all the activities in the kitchen. Opening a restaurant of my own is my dream, but serving Kelantanese cuisine is that last thing that I want to do. So much of prep work – cutting, grinding, chopping, frying, boiling and etc. 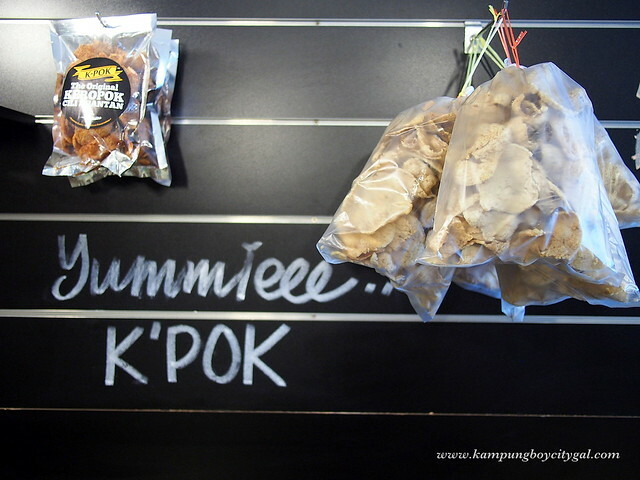 Home made keropok asli (original) and keropok cili Kelantan is also for sale here. KampungBoy just could not resist! 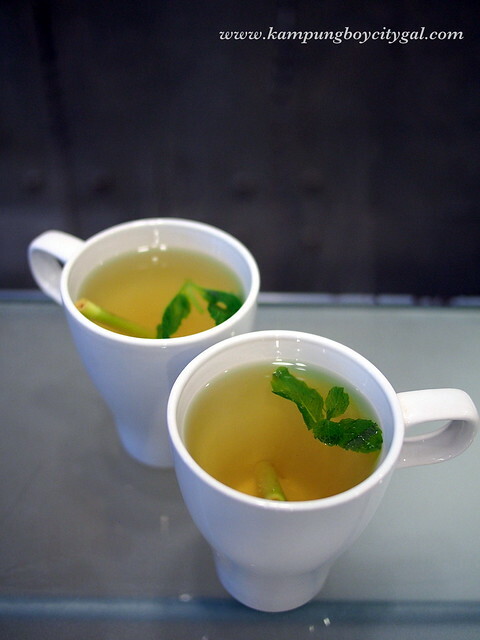 Hot lemongrass water. Susan told us that it is a very good antibacterial drinks. We also tried Apa Pun Ada (RM2.50), a very refreshing drinks made of serai, pandan, asam boi, mint and of course tea. 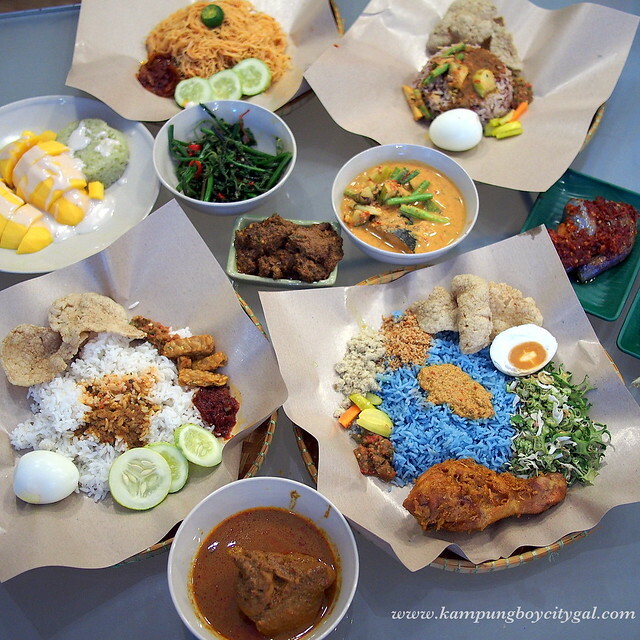 The dishes for nasi berlauk vary from day to day. Today we have beef rendang, stir fry pucuk paku, tempeh and petai sambal and terung sambal. 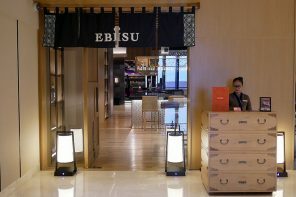 Everyday, Susan and her kitchen staff will whip up small batches of freshly fried chicken and fried fishes. We were so lucky to try the punggut mangga because sweet mangoes are in season now. 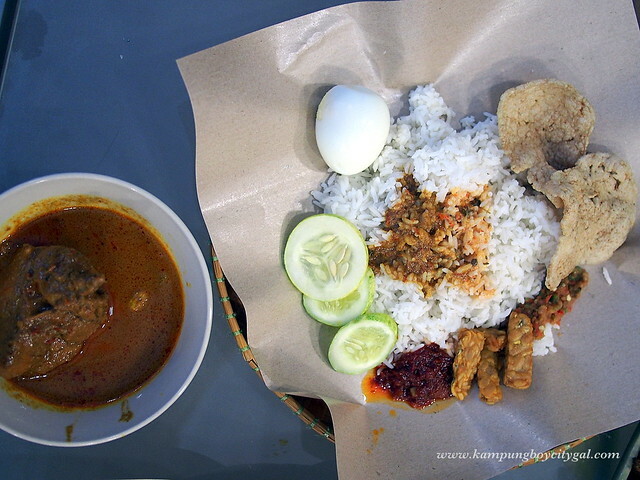 Nasi Dagang with Gulai Raja Berangkat. 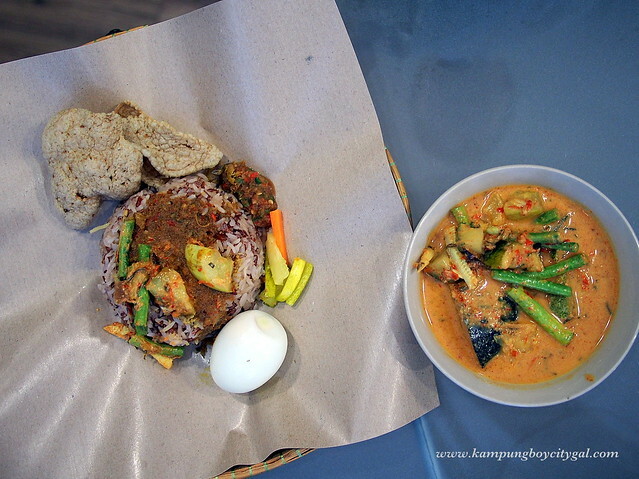 Susan uses wild rice grains for her nasi dagang. She also avoid steaming coconut milk with the rice, making this a healthier variation. Served with acar, a whole hard boiled egg and crispy fish crackers, the nasi dagang is also paired with gulai ikan raja berangkat. 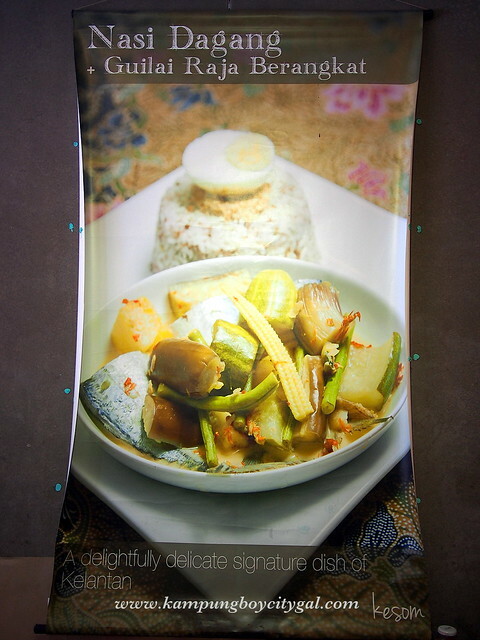 I love the gulai, as it is cooked with pineapple, salted fish, vegetables and ikan tongkol. 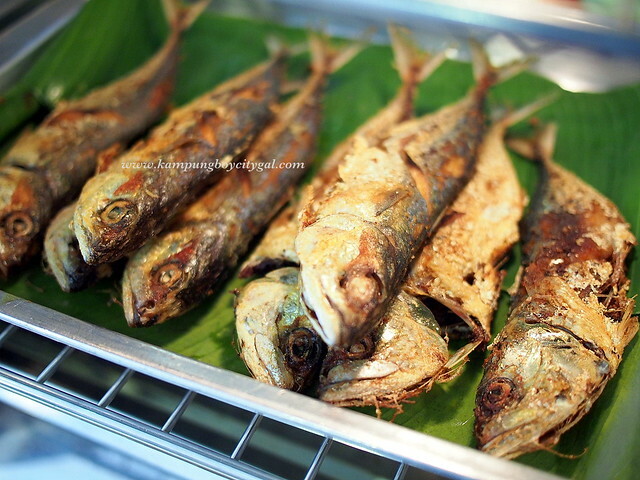 It was slightly tangy with a mild hint of salted fish, so good when eaten together with the wild rice. It is said that the curry is so delicious that even the Sultans get up from his seat, looking for the dish that smells so aromatic. Kesom Cafe’s nasi berlauk is a simple affair – just choose any dishes that you would like to pair with your white rice. Nasi Kerabu is my perennial Kelate’s favourite. Susan is a firm believer in using fresh and quality herbs and spices. 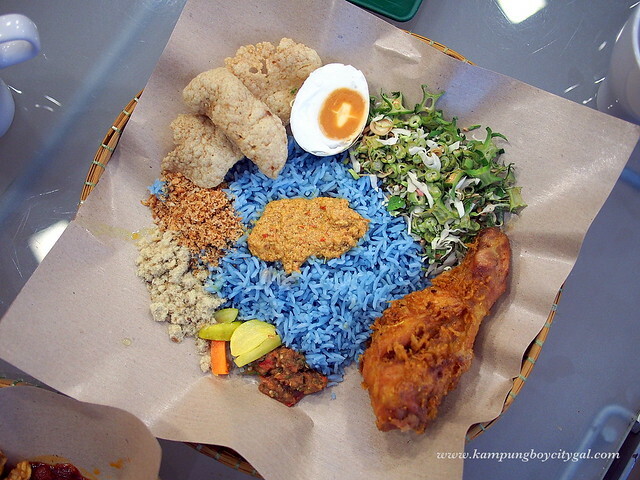 So even the rice in her nasi kerabu is dyed blue by using butterfly pea flowers she planted in her house garden. Her fish floss is also home made, using only good quality fishes such as kembong and selar. Served together with ulam, telur masin, acar, tumis, sambal belacan, fish sauce, kerisik, keropok and crispy fried chicken; I found ultimate joy in mixing everything together before I start indulging in nasi kerabu. 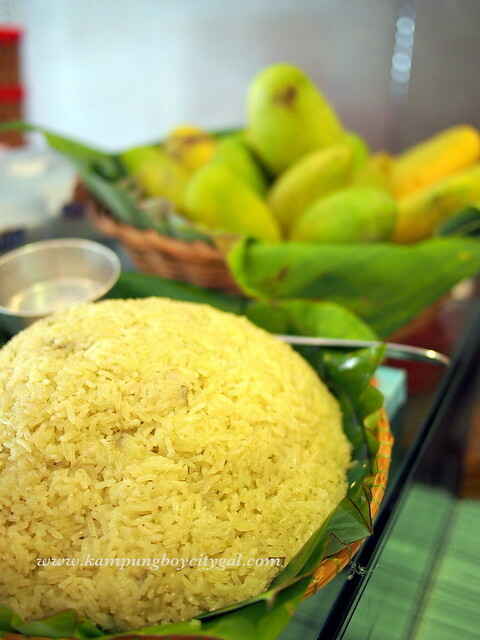 Pulut inti is also freshly made in small batches everyday. Seriously, it was so delicious that each of us had two each. 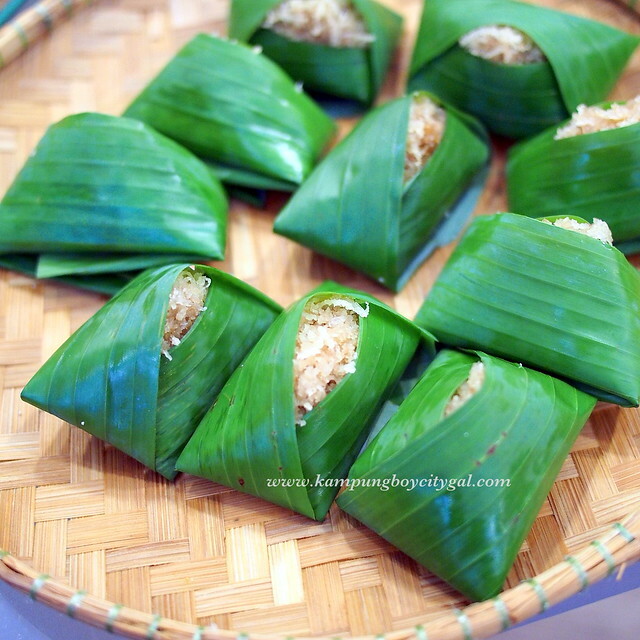 The glutinous rice was soft while being slightly chewy, and the sweet coconut topping was not too sweet. 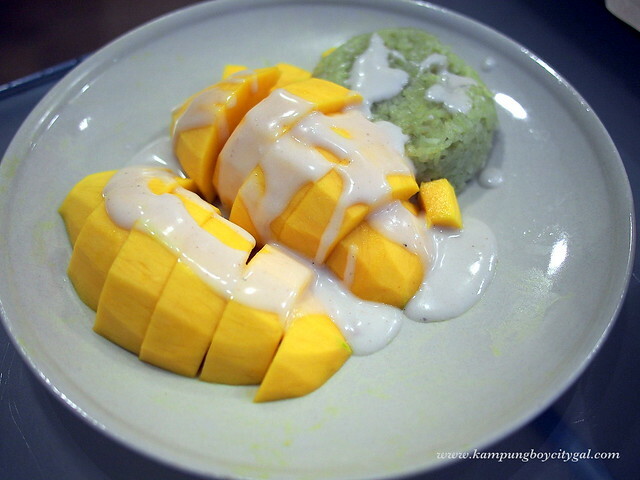 Kesom cafe’s pulut mangga (mango glutinous rice) is better than any Thai versions that we have eaten in Thailand. The glutinous rice was steamed together with freshly squeezed pandan juice, hence the slight greenish colour. It is best eaten together with the ultra sweet and juicy mangoes. 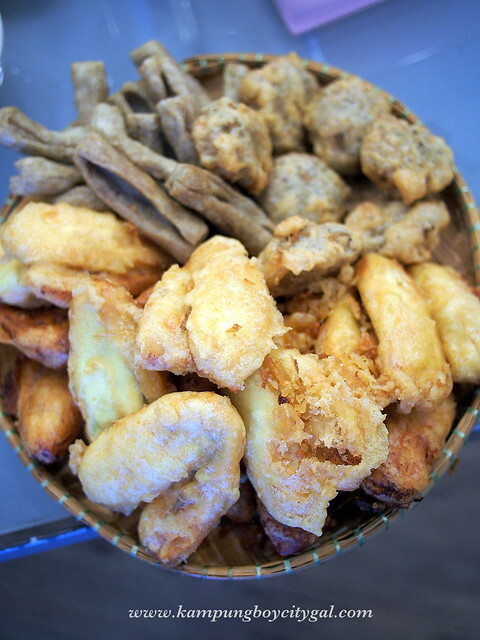 We could not resist to steal some bites of the pisang goreng, keropok lekor and kuih kasturi. Even these goodies were made in small batches. Susan believes in concentrating on just a small menu and everything should be freshly made from scratch. 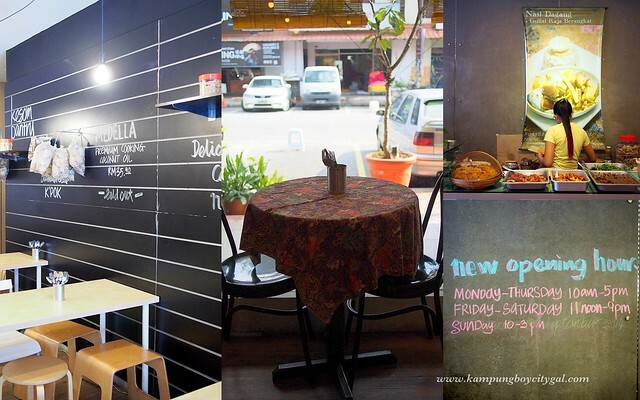 We had fun shooting at Kesom Cafe and just take a look at the spread! 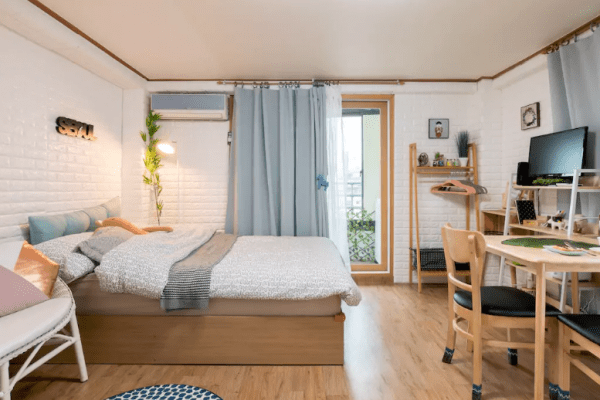 We managed to polish everything clean. Thank you Susan and Kesom Cafe for your great hospitality. 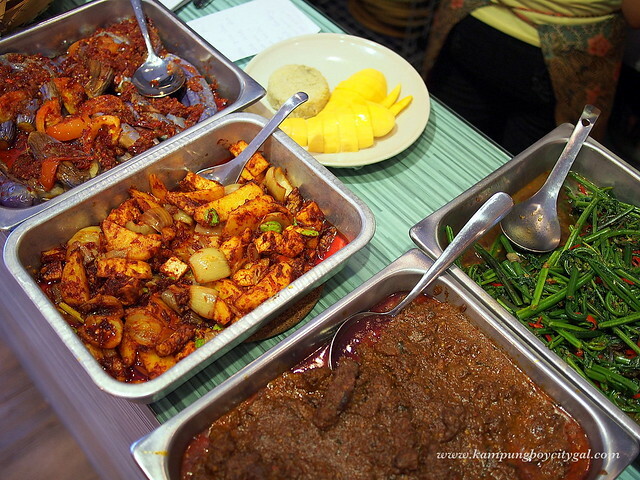 We would recommend Kesom Cafe to anyone who crave or who would like to try some authentic Kelate food. 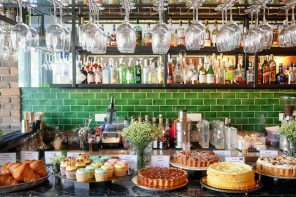 It is a small, cozy restaurant with enthusiastic chefs and owners who use only fresh, quality ingredients in their cookings. Last but not least, remember to watch the first episode of Foodie Blogger season 3 on 19th July 2015 (Sunday) at 3.30pm, on NTV 7. You can see how “kekok” (stiff) we are on TV!